New Delhi sought a sovereign guarantee to prevent Paris from ever citing the Arms Trade Treaty to interrupt, modify or cease delivery of the Rafale fighter at any stage. The ministry of defence's negotiators for the purchase of 36 Rafale fighter jets from the French vendor Dassault during September 2 to 16 were unable to obtain 'sovereign guarantees' from Paris that would have bound the French government to always support the deal. Instead, as Attorney General K K Venugopal admitted before the Supreme Court on November 14, New Delhi contented itself with a letter of comfort from the French prime minister. A letter of comfort amounts to a non-binding intention to support the contract. It is not a legally enforceable contract, like a sovereign guarantee. This shortcoming was also flagged by the ministry of law and justice in its pre-review of the contract documents. 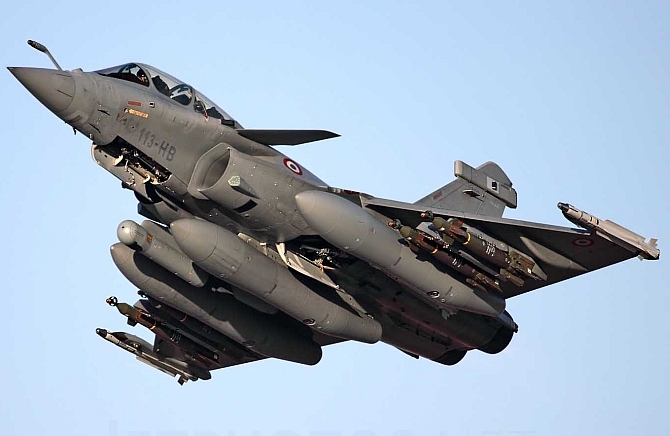 Government officials say a key reason New Delhi sought sovereign guarantees was to prevent Paris from ever citing international instruments, such as the Arms Trade Treaty of 2013, to interrupt, modify or cease delivery of the Rafale fighter at any stage. Contacted via email for comments, the MoD did not respond. The Arms Trade Treaty is a multilateral treaty that regulates international trade in conventional arms. France has signed the Arms Trade Treaty, but India has consistently rejected it as discriminatory. The Arms Trade Treaty allows weapons-exporting countries to deny or cancel export permissions at any stage. In such an event, the treaty's provisions relieve the exporting country and its defence manufacturers from any contractual liability. On the other hand, a sovereign guarantee is a pledge that supersedes the Arms Trade Treaty. Had Paris provided a sovereign guarantee in the Rafale contract, it would not have been able to cite the Arms Trade Treaty to explain any lapse in its execution. An MoD file noting dated August 22, 2016, which I reviewed, explains how India climbed down from its demand for a sovereign guarantee. Despite resistance from French negotiators the law ministry insisted on sovereign guarantees. Eventually, the decision was left to the Cabinet Committee on Security. 'The MoL&J (ministry of law and justice) had brought out that government/sovereign guarantees should be requested for, in view of the contract involving huge payouts value...' says the MoD note. 'The French side responded by stating that the letter to be signed by the French Prime Minister (the letter of comfort) along with the guarantees being provided through the intergovernmental agreement constitute a unique and unprecedented level of involvement of the French government... and therefore, the French side does not accept inclusion of additional wording regarding guarantees,' the MoD note reveals. 'This aspect was discussed in Defence Acquisition Council on January 11, 2016. The DAC directed that the decision on the final acceptance of the 'Letter from French PM along with the outstanding guarantees provided through (the inter governmental agreement) in lieu of government/sovereign guarantees shall be that of the CCS,' the MoD note adds. Just days before the Rafale contract was signed on September 22, the CCS -- chaired by Prime Minister Narendra Damodardas Modi -- chose to proceed without a sovereign guarantee from France. The Arms Trade Treaty was adopted by the United Nations General Assembly on April 2, 2013 and it entered into force on December 24, 2014. Currently, 190 countries have signed, and 89 of them have ratified the treaty.